Inkybee ‘we‘ and ‘us‘ is an online service dedicated to discovering and rating blogs, tracking and measuring the impact of online Public Relations projects. A. By using this website or by registering for the Services, you agree to be bound by these Terms. If you are entering into this agreement on behalf of a company or other legal entity, you represent that you have the authority to bind such entity to these Terms. B. Should you violate these Terms or any other rights of Inkybee, we reserve the right to pursue any and all legal remedies against you, including, without limitation, immediately terminating any and all user accounts. C. We reserve the right to modify these Terms at any time, effective upon posting of an updated version on this website. You are responsible for regularly reviewing these Terms. Continued use of the Services after any such changes shall constitute your consent to such changes. A. You are solely responsible for the content and accuracy of all documents and other information submitted by you to Inkybee (the ‘Information‘). Because of the volume of information and copy submitted to Inkybee, Inkybee cannot be responsible for verifying facts contained in the Information. B. Technical support is only provided to paying Account Holders and is only available via email. We will use commercially reasonable efforts to respond within a reasonable amount of time during regular business hours. C. Certain materials may be made available for download from the Services. Subject to these Terms, we grant you limited permission to download and copy such materials solely for your own use and for use by the clients to which the materials relate; provided that all copyright notices and Inkybee trademarks appearing on the originals are duplicated on all copies thereof. D. You agree to use the Services for their intended purpose and not for any illicit purposes including, but not limited to, the reverse engineering of the site and/or its processes and the inclusion of such processes or services in a derivative service. You shall not query, spider or access any Inkybee systems without the express written our consent. You shall not modify, adapt or hack the Inkybee website or falsely imply that some other site is associated with the Inkybee website; or use Inkybee for any illegal or unauthorised purpose. E. You must not misuse our websites by knowingly introducing viruses, trojans, worms, logic bombs or other material which is malicious or technologically harmful. You must not attempt to gain unauthorised access to our websites, the server on which our site is stored or any server, computer or database connected to our site. You must not attack our site via a denial-of-service attack or a distributed denial-of service attack. By breaching this provision, you would commit a criminal offence under the Computer Misuse Act 1990. We will report any such breach to the relevant law enforcement authorities and we will co- operate with those authorities by disclosing your identity to them. In the event of such a breach, your right to use our site will cease immediately. A. You may terminate your subscription at any time by clicking the appropriate link in your account settings. Termination will come into effect immediately and you will remain liable for any and all outstanding charges. B. If you (or any other user of the Account Holder’s Inkybee account) fails to abide by these Terms, or if payment of the subscription fees is not paid on time, we reserve the right to suspend your access to the Services or permanently cancel the Account Holder’s Inkybee account. If we withdraw access to The Services because these Terms of Service have been breached, no refund will be payable by us. We also reserve the right to close any Inkybee account for any reason, by giving ten days notice. A. Inkybee is a subscription-based service. Your subscription to your Plan starts upon effective reception of your first payment. Your subscription is then automatically renewed, unless you decide to terminate it and close your account (using the link provided in your user interface). B. The subscription rates are posted on the Inkybee website: please see the Pricing Page for the rates in force for the current month. Prices are quoted in US dollars and exclude VAT and/or any other applicable sales taxes, which are also payable if applicable. You shall pay all fees or charges to your account in accordance with the fees, charges, and billing terms in effect at the time a fee or charge is due and payable, plus all related taxes. All payment obligations are non-cancellable and all monthly subscriptions paid are non-refundable. Annual subscriptions are refundable excluding any part used months and free months. C. We reserve the right to modify the fees and charges for using the Inkybee Services and to introduce new charges for it upon 30 days prior notice. Such notice may be provided at any time by posting the changes to the Inkybee website or by email to the account holder. D. Overdue Charges. If any charges are not received from you by the due date, then at our discretion, such charges may accrue late interest at the rate of 1.5% of the outstanding balance per month, or the maximum rate permitted by law, whichever is lower, from the date such payment was due until the date paid. E. You agree to provide complete and accurate billing and contact information including details of a valid credit card. You agree to update this information within 30 days of any change to it. If the contact information you have provided is false or fraudulent, we reserve the right to terminate your access to the Services in addition to any other legal remedies. (iv) that defects in the operation or functionality of the Services will be corrected. B. In no event shall Inkybee have any liability to you for any claims or demands of third parties or any lost profits, loss of business, loss of use, lost savings or other consequential, special, incidental, indirect, exemplary or punitive damages, even if advised of the possibility of such damages. C. We will not be liable for any loss or damage caused by a distributed denial-of-service attack, viruses or other technologically harmful material that may infect your computer equipment, computer programs, data or other proprietary material due to your use of our site or to your downloading of any material posted on it, or on any website linked to it. A. You will indemnify and hold harmless Inkybee and its officers, directors, employees, licensees, successors and assigneess from any and all liabilities, damages, judgments, claims, costs, losses and expenses (including all legal fees and costs) arising out of or related to any and all claims alleging conduct that would amount to a breach of any of your representations and warranties in these Terms. A. Inkybee owns all legal right, title and interest in and to the Services, including any intellectual property rights which subsist in the Services. Nothing in the Terms gives you a right to use any of Inkybee’s trade names, trade marks, service marks, logos, domain names, and other distinctive brand features in relation to Inkybee. B. You agree that in using the Services, you will not use any trade mark, service mark, trade name, logo of any company or organisation in a way that is likely or intended to cause confusion about the owner or authorised user of such marks, names or logos. A. We reserves the right to change the product/service specifications of Inkybee without notice. B. We may work with third party companies to provide the Services. You acknowledge and agree that these companies will be entitled to provide the Services to you. C. You consent to receive communications from us concerning the Services electronically by e-mail to the email address you provided in connection with your account. You may change the e-mail address to which we send communications by modifying it in your account settings. D. You are responsible for all activity occurring under your account and shall abide by all applicable local, state, national and foreign laws, treaties and regulations in connection with your use of the Services. E. Feedback. 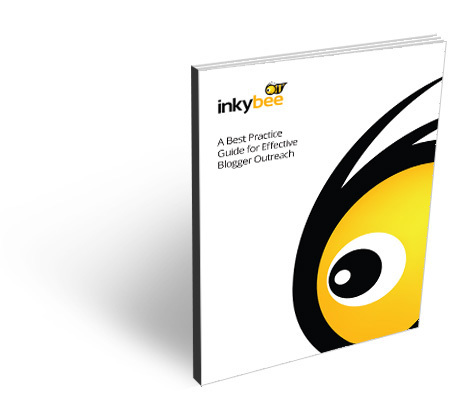 In the course of using the Inkybee Services, you may provide us with feedback, including but not limited to suggestions, observations, errors, problems, and defects regarding the Inkybee Services (collectively ‘Feedback’). You hereby grant Inkybee a worldwide, irrevocable, perpetual, royalty-free, transferable and sub-licensable, non-exclusive right to use, copy, modify, distribute, display, perform, create derivative works from and otherwise exploit all such Feedback. F. Transfer of rights & obligations: Inkybee shall be entitled to transfer our rights and/ or obligations under these Terms of Service to another party. Neither you nor the Account Holder may transfer any of your rights or obligations under these Terms of Service without our written consent. G. If any provision of these Terms is held by a court of competent jurisdiction to be invalid, void or unenforceable, the remaining provisions shall nevertheless continue in full force without being impaired or invalidated in any way. H. This Agreement shall be governed by and construed under the laws of Scotland. Any suit hereunder will be brought in the courts of Scotland, and you submit to the personal jurisdiction thereof. You are responsible for compliance with any applicable laws of the country from which you use or otherwise access the Services.I. Where our site contains links to other sites and resources provided by third parties, these links are provided for your information only. We have no control over the contents of those sites or resources, and accept no responsibility for them or for any loss or damage that may arise from your use of them. I. You may link to our home page, provided you do so in a way that is fair and legal and does not damage our reputation or take advantage of it, but you must not establish a link in such a way as to suggest any form of association, approval or endorsement on our part where none exists. You must not establish a link from any website that is not owned by you. Our site must not be framed on any other site, nor may you create a link to any part of our site other than the home page. We reserve the right to withdraw linking permission without notice. If you wish to make any use of material on our site other than that set out above, please address your request to support@inkybee.com.